We photographers deal in things which are continually vanishing, and when they have vanished there is no contrivance on earth can make them come back again. We cannot develop and print a memory. una imagen llena de una fuerza y dinamismo increibles, precioso retrato. Una gran fotografía… ¡Y ES DE VERDAD! Thanks everyone for all the comments. 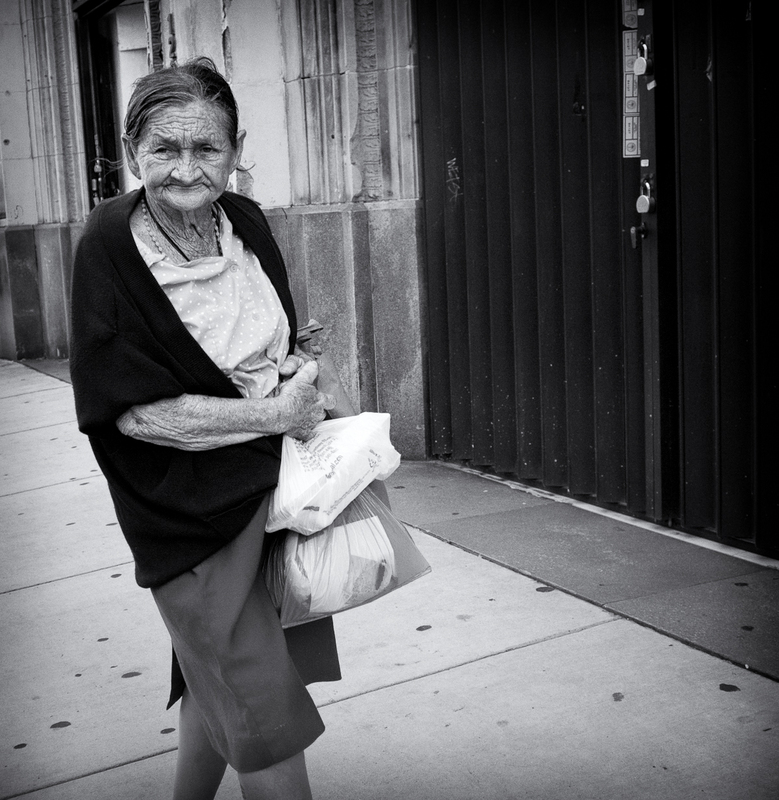 This image represents of the main reasons I love street photography, post coming soon. Again, thank you all for your kind words and wonderful insights. What a cracker! Just look at the skin on her face, neck and arm. And such an expression on her face. Nice shot Jorge. Her face has a very strong character. And You really go crazy with M4/3.. After GF now it’s E-PL. Si, es muy linda, ella. Los ojos especialmente, y el piel es una historia de su vida y su mundo. Good capture and great texture! Excelente toma fotografica y explicación, un saludo. Wonderful work!!! Your B/W’s really pop…..good stuff! Some great life moments written on her face. A lot more smiles to come I’m sure.